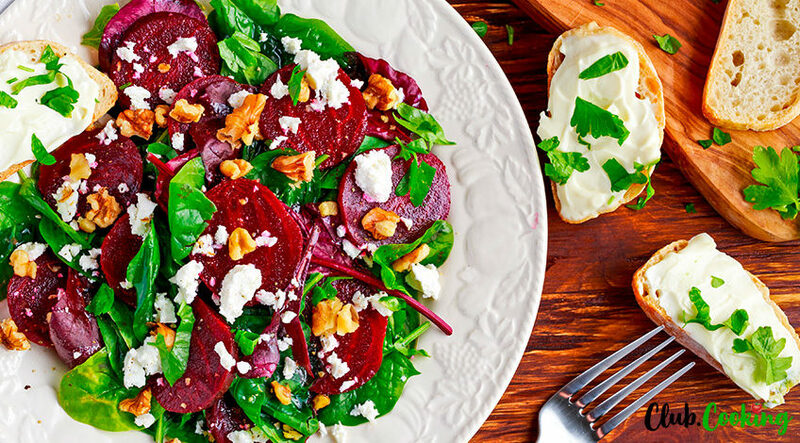 This roasted beet salad with arugula and balsamic vinaigrette is truly an irresistible dish. Great option for a quick meatless lunch, tasty side dish or a flavorful canvas for your favorite protein like grilled chicken – you pick it. 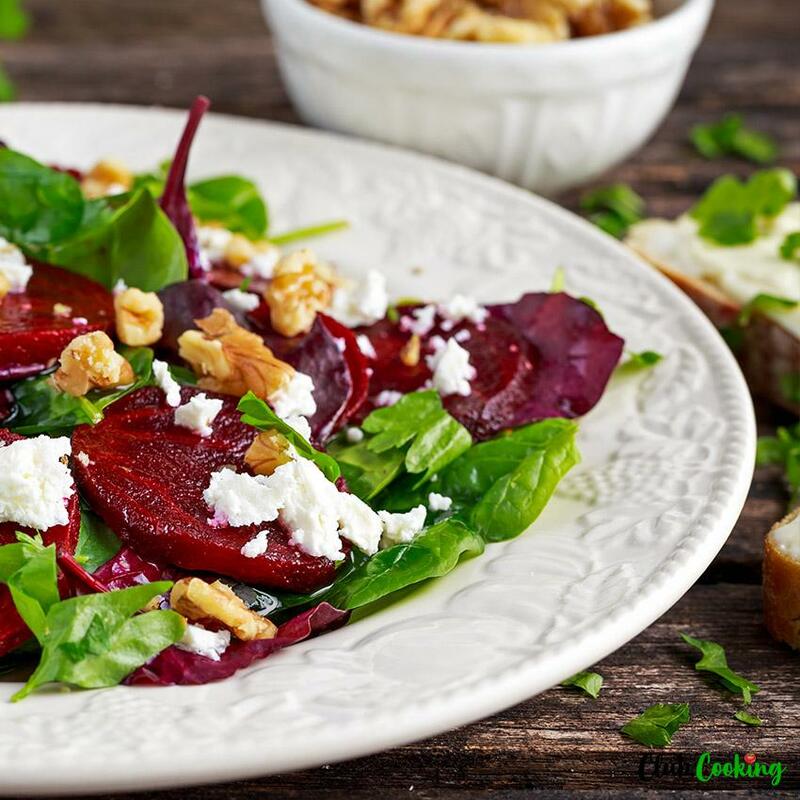 Combing salty feta cheese, crunchy toasted pecans, sweet dried cranberries and ruby red beets, fresh arugula and tangy vinaigrette it creates perfect all around balance of flavors. And did I mention how colorful and beautiful it is? And very nutritious just like the bold colors of beets and arugula would suggest. The best part is that you can easily substitute some of the ingredients that you might not have on hand without loosing the flavor. Do not have pecans in your pantry? Not a big deal use walnuts instead. Ran out of dried cranberries – raisins or dried cherries will fit in wonderfully in this salad. Not the biggest fan of feta cheese and would prefer a little bit more creamy and tangy texture and flavor? 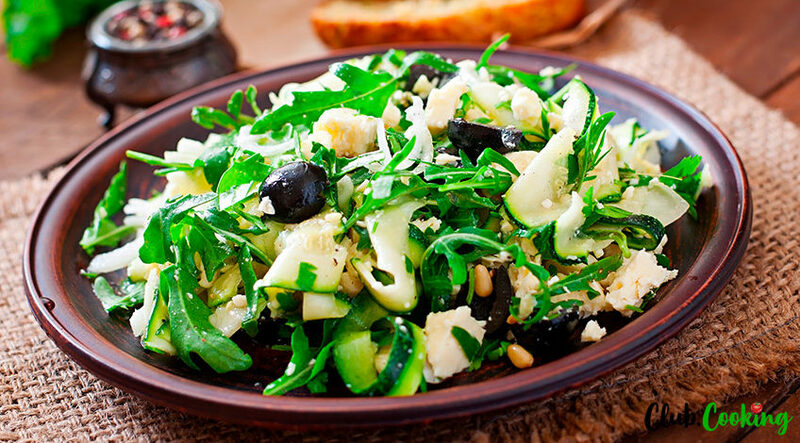 Crumble some goat cheese on top of your salad and enjoy. 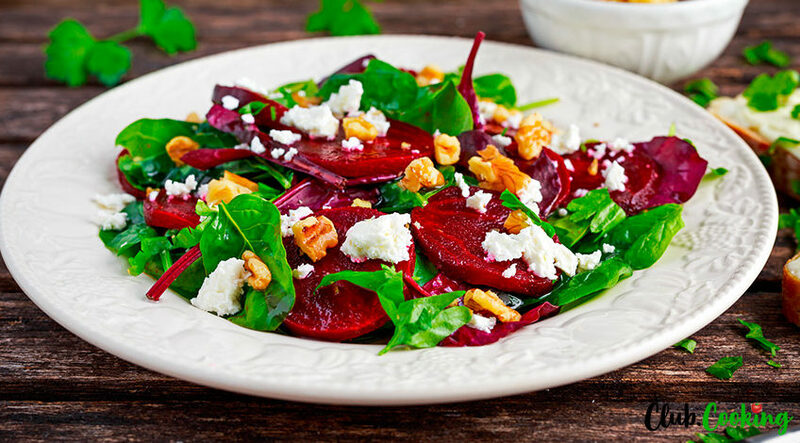 This salad is an ultimate way to combine all the seasonal, nutrition dense ingredients.The simple roasting technique will give the beets that great earthy flavor that will satisfy anybody’s palate. It is a true star of this dish. Toasted pecan nuts will add that extra crunch to every bite. 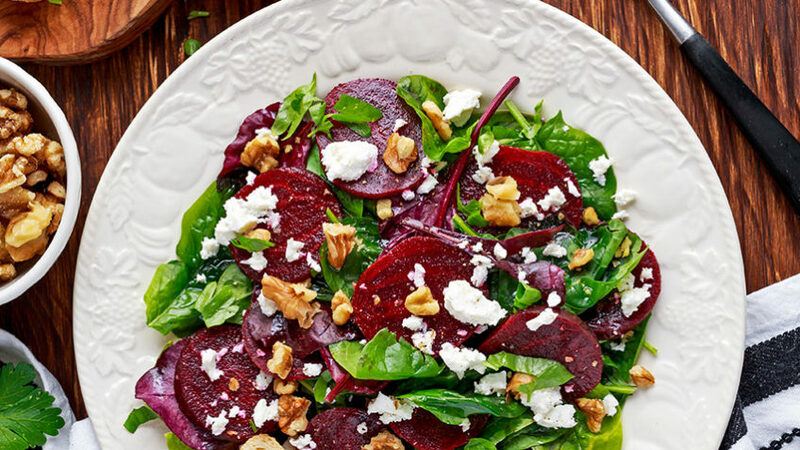 Peppery arugula is fresh and a great compliment to the beets. The homemade balsamic vinaigrette pairs great with all the ingredients as well and you can whisk it together in no time at all. I like using aged balsamic vinegar for the dressing just to gve the flavor a little more depth, and remember a little goes a long way. And most importantly it is absolutely not hard to make despite how fancy it looks and sounds. This is sure to become one of your favorites! Preheat the oven to 450 degrees F. Place beets on a baking sheet lined with 2 layers of aluminum foil. Drizzle with oil, sprinkle with salt and pepper, wrap with the first layer or foil and transfer to the oven. Bake for about ah hour or until the largest beet is soft when pierced with fork. 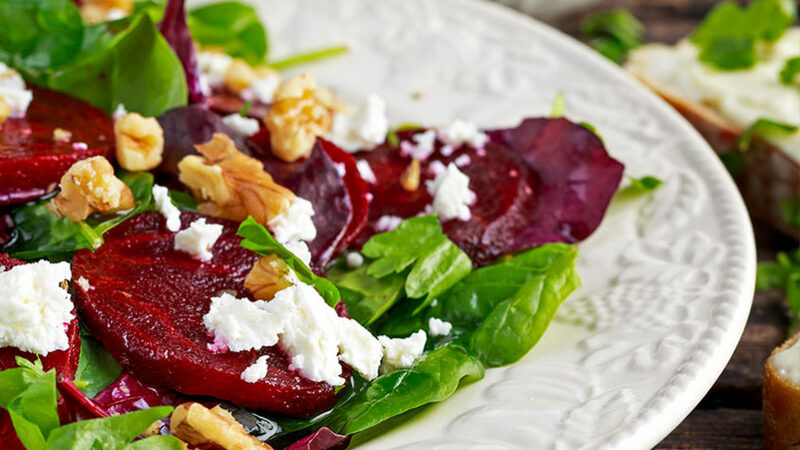 Take the baking sheet with beets out of the oven, unwrap the foil and let them cool off before peeling the skins . Slice beets into wedges. Toast 1/2 cup nuts of your choice( I am using pecans) in a pan until browned and aromatic. 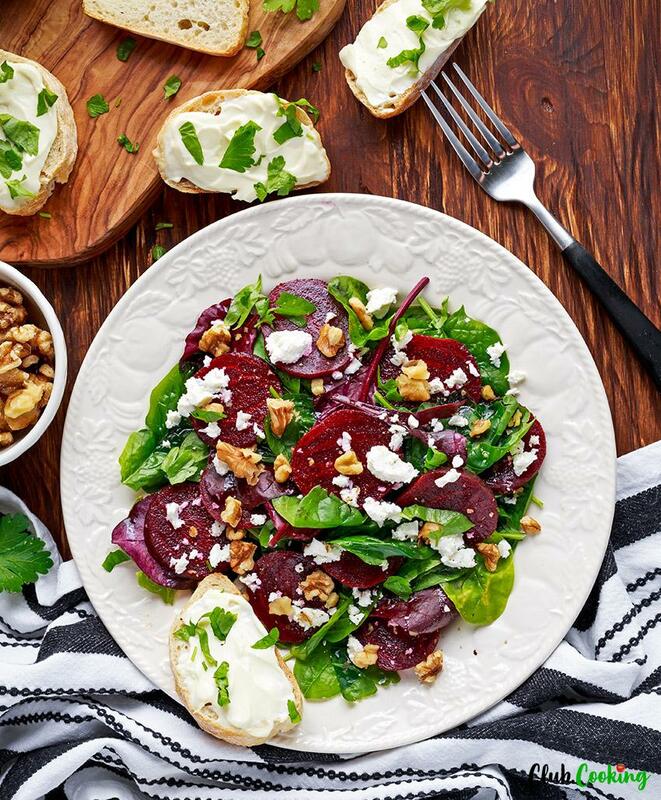 Toss arugula, sliced beets, feta cheese, dried cranberries and toasted nuts in a large mixing bowl. 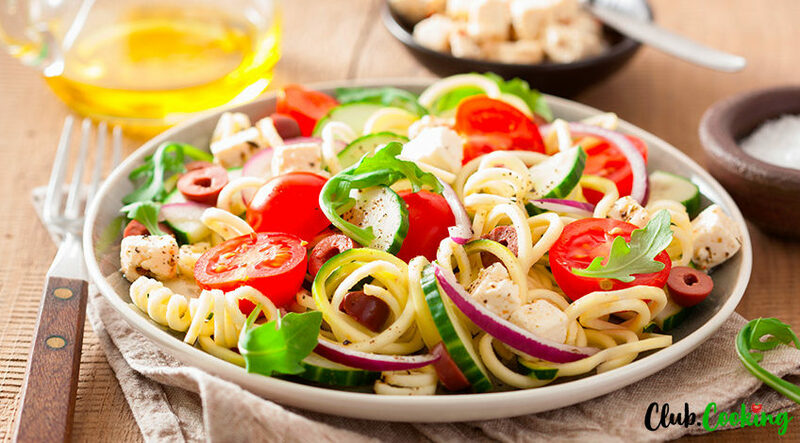 In a small mixing bowl whisk together the balsamic vinaigrette. 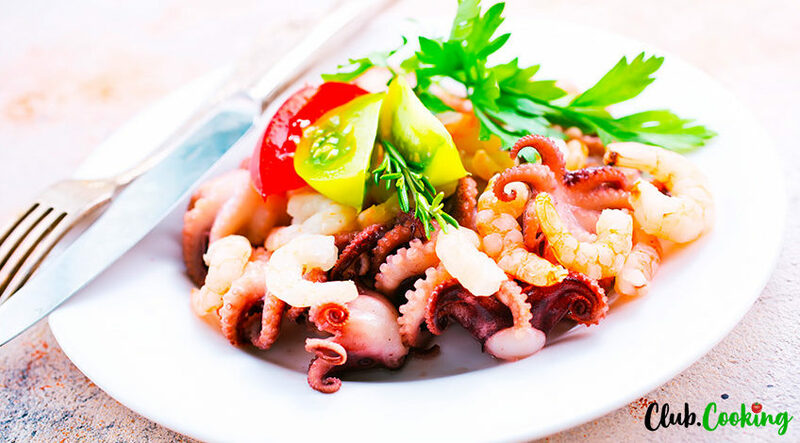 Combine all the ingredients together: 1/2 cup extra virgin olive oil, 1 tablespoon Dijon mustard, 3 tablespoon balsamic vinegar, 1 garlic clove pressed, salt and pepper to taste and stir. Pour over the salad, give it another gentle toss and you are all done!